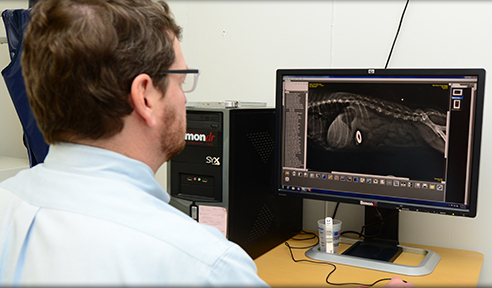 Belle Meade Animal Hospital provides advanced internal medicine care for your pet using state-of-the-art diagnostic tools. From routine checkups to treatment of chronic conditions, our internal medicine services will help keep your dog or cat happy and healthy. Every member of our team is committed to helping you make the very best decisions for your pet’s health and wellness. If your pet is diagnosed with a chronic condition such as diabetes, kidney disease, liver disease, or thyroid disease, we will closely monitor your pet to help manage his or her condition. As we monitor your pet’s chronic condition, our veterinarians can recommend adjustments to his or her diet, changes in medications and treatments, and create a specialized monitoring schedule. For more information about our internal medicine and care for chronic conditions, please call us at 615-352-4370.